So I was nominated by Pete Handley of theMediaFlow (as well as my childhood friend Steve Prior) to do the ALS Ice Bucket Challenge. As this blog is starved of content, I’ve decided to upload it here! I’m not donating to ALS, but rather donating to the Callum Murray Fund. Callum is a brave lad who has been at many British Wrestling shows over the last few years, and I’ve been honoured to meet him after shows. Callum suffers from Arnold Chiari Malformation, we are a fundraising page designed to help get Callum to the USA for treatment. If nothing else from this video, please consider liking and supporting that page. Thank you. I’ve nominated my FireCask boss Anna Moss, my brother and my mate Dave from back home. 24 hours! P.S. Yes I am well aware that my shorts say “66” on it. As a proud Welshman I found these lying around and didn’t mind ruining them ;). So another year is over. It was the beginning of 2013 when I relaunched this blog, so I’ve been blogging on and off for a year. Of course, the next few posts are times for reflection on things – a post later this week is seeing how many of my goals for 2013 I have hit (take a guess?). It’s has felt like a bit of a quiet, if uneventful year for me. I don’t know, but with loads happening in 2012, this year seemed a lot more settled. So much so that I really wanted to do “three things”, but couldn’t think of a third thing for the list – other that I’ve a few new dear friends in my life now, which is obviously number one! So for me, these are my two highlights of 2013. Seriously, if you told me at the beginning of 2013 I would be a published author by the end of the year, I wouldn’t believe it. But on Valentine’s Day I received an email asking me to pitch for a book (instantly becoming the best Valentine’s Day I’ve ever had), I started writing a book on the Histon away day, and finished writing it on the last day of the season against Gloucester City. 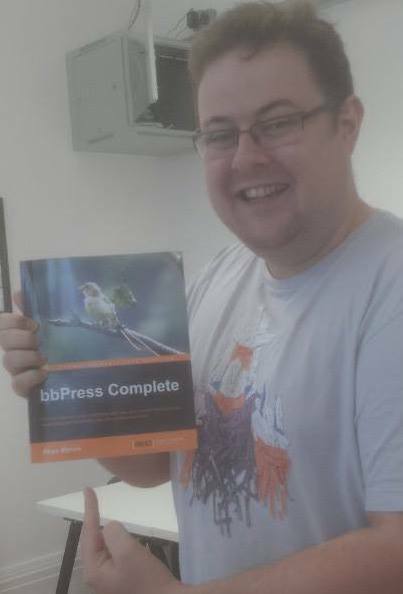 Two months later, bbPress Complete was published. I am quite chuffed that I wrote a book, even though it took my eye off a few projects, which are now going to be 2014 goals. Nevertheless I have a morbid fascination of something I’ve created still being here after I die. Now, with this book, I’d like to think there will be now. As surprising as it may sound, the number one highlight of this year is that – in my fifth year of being involved in professional wrestling in the UK – I can honestly say I’ve enjoyed this year more than all. It has been superb. I have gone from being nervous before shows and finding any reason to miss shows to canceling semi-serious plans and going out of my way on a Sunday to make bookings. 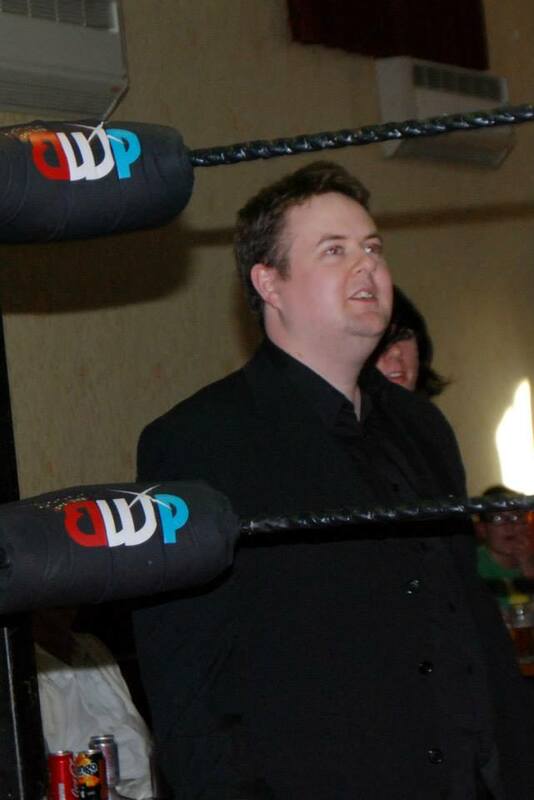 I’ve gone from feeling a bit player to a point whereby at the Christmas Party a few of the top guys in British wrestling told me they hope to work with me in 2014, which is incredibly humbling. Amazingly, BWP have enough faith in me that I have helped with the training. Of course, not for anything athletic, but how to structure characters and helping with their confidence. It’s a huge change from the unconfident, stuttering embarrasment that first appeared on shows four and a half years ago. I’m so happy working with the rookies, and incredibly happy with my progress in 2013. Hopefully this will only get better in 2014. To all those who I’ve worked with, traveled with, supported me or even made a sign for me (yes! That happened this year), thank you. It’s been awesome. As it is quite common I guess, I’d like to wish everybody a Merry Christmas and a Happy New Year! Christmas Eve for me will be a trip to The Pen Y Bryn as I always do, as well as watching Muppets Christmas Carol. However, we’re breaking with tradition slightly by having a Rogan Josh on Christmas Eve. Also, with one of my brothers away in Tanzania, it’s going to be a bit of a quieter Christmas, but it should be relaxing. Anyway, I hope all my readers have a Merry Christmas & a Happy New Year! Posted on December 24, 2013 October 14, 2017 Categories General2 Comments on Merry Christmas Everyone! I read a blog with interest recently, from fellow Manchester based SEO Neil Walker on State of Digital entitled “Why I Hate WordPress Websites!“. Neil made the fairly quick conclusion that whilst he doesn’t really hate WordPress websites, he does hate developers who don’t really understand WordPress. His single biggest bugbear is those who forget to click the “Discourage search engines from indexing this site”. I must admit, I’m quite glad Neil didn’t write something along the lines of “it’s something bad developers do”. Largely because, errr, I’ve been guilty of it in the past. It’s easy to forget. And that makes it a bit sucky. So I’ve decided to do something about it. Check Search Engine Visibility on Migration very simply prints a big warning on your site should you block search engines. That warning you can dismiss. However should the site url for WordPress change it reappears. So, say, if you move from a domain to another, or from a dev site to a live site, then you may want to change your visibility settings. This plugin will make you aware of this. The warning is difficult to miss, so you kind of have to deal with it. Making it perfect for not forgetting to switch off the “Discourage Search Engines”. If you are anything like me, this plugin will probably save your arse a few times. So to download this plugin, please click here. I am also in the process of putting this plugin on Github, so that’ll appear in the next day or two. Suggestions, comments and bugs welcome! Competition – Win 1 of 3 eBook copies of bbPress Complete! Hello everybody, did you miss me? Yes I’ve returned refreshed from two weeks travelling around Europe, but before I’d share with you what I’ve been upto and photos, I’d thought I’d share something myself and Packt Publishing have been doing. Over on Winwar Media we’re running a giveaway to win a copy of bbPress Complete – my book that teaches you everything you need to know about bbPress. Already the feedback has been great for the book, so if you were interested in it, but yet to buy it, you can try and win a copy. Entry is incredibly simple, and you have a week to enter. Winners will be notified when the competition is complete. Best of luck! This competition has now ended. If you wish to purchase a copy of bbPress Complete please click here. Posted on October 28, 2013 October 14, 2017 Categories Digital, General2 Comments on Competition – Win 1 of 3 eBook copies of bbPress Complete!